Head of Communication Affairs with Science & Research Centers, Research & Technology Dept. Hedayat Omidvar was graduated in Industrial Engineering (MSc) in 2002. He has been working since 1992 as Natural Gas consumption expert in Corporate Planning Dept., National Iranian Gas Company (NIGC), responsible for treatment, transmission, storage and distribution of natural gas. At present, he is Head of Communication Affairs with Science & Research Centers, Research & Technology Dept. Prof. N.P. Zapivalov has 68 years of experience in petroleum geology including: 5 years (1950-1955) of education (Mining Institute, Yekaterinburg, Russia); each summer he worked at oil exploration enterprises in Turkmenia, Bashkiria, and the Ukraine. 30 years (1955-1985) of field experience in West Siberia as geologist, Chief Geologist, President of West-Siberian Oil Exploration Enterprises. Discoverer of oilfields. 33 years (1986-2018) in fundamental science and teaching as Chief Scientist at Institute of Petroleum Geology SB RAS, Professor of Novosibirsk State University & Tomsk Polytechnic University; Doctor of Sciences since 1985. He has published over 800 papers in reputable journals. Dr Wei Bing has completed his Ph.D. in Chemical Engineering in year 2013 from University of New Brunswick, Canada. He is a reviewer of a number of SCI journals, editorial board member of Journal of Bioresources and Bioproducts. Currently he is working as a Supervisor for master candidates in Southwest Petroleum University, China. Abdollah Esmaeili got his Diploma in Mathematics & Physics, 1986 - 1990, Iran. He attained his BSc and MSc in petroleum engineering from Petroleum University of Technology (PUT), Iran. He is currently pursuing his PhD degree in petroleum engineering at University Technology Petronas (UTP), Malaysia. He has been working as a reservoir engineer in the oil & gas industry for the past 25 years for companies like National Iranian Oil Company (N.I.O.C), National Iranian South Oil Company (N.I.S.O.C), Aghajari Oil & Gas Production Company (AjOGPC). Also, he teaches petroleum reservoir engineering courses in Universities of Iran and Worldwide. 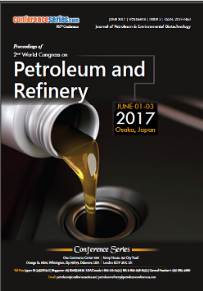 He has written several papers in petroleum engineering accepted for presentation in international conferences. He has attended to several international conferences worldwide as speaker. He has lead several international scientific master class and workshops Worldwide. Abdulhusseien.N.Al-Attabi got his B.sc at 1980 from Almousel university in Iraq, worked at South Iraqi Oil Company as well sit geologist and graduated to senior chief petroleum geologist. He completed his Ph.D at 2014 in petroleum geology from Baghdad university. Now He works as a lecturer in college of petroleum Engineering at al-Ayen university- Iraq. President: Davis L. Ford, Ph.D., P.E. Dr. Ford is a practicing environmental engineer with over forty-five years of experience in the field. In addition, he serves on the faculty at The University of Texas at Austin as an adjunct professor, has published more than one hundred technical papers, has co-authored or contributed to ten textbooks, and written two biographies and co-authored one children’s book. He has lectured extensively throughout the United States and in countries of Europe, South America, and Asia. Ford received his bachelor’s degree in civil engineering at Texas A&M University and his master and doctorate degrees in environmental engineering at The University of Texas at Austin. He is a Distinguished Engineering Graduate of both Texas A&M University and The University of Texas at Austin as well as a Distinguished Alumnus of Texas A&M. Ford was elected into the prestigious National Academy of Engineering (NAE). He has served as president of the American Academy of Environmental Engineers and chairman of the Academy Ethics Committee. His honorary affiliations include Tau Beta Pi, Sigma Xi, and Chi Epsilon. Ford serves on the Board of a publicly-owned oil and exploration company (CWEI, NASDAQ) and the Board of the Texas A&M University Press. Ridha Gharbi has over 30 years of experience in the oil & gas industry, ranging from research engineer, academics, research & development, and consultant in various areas including IOR/EOR, reservoir management & production engineering. He has published extensively in refereed journals and technical conferences. Ridha Gharbi holds a B.Sc. from the University of Tulsa (1987), M.Sc. and Ph.D. degrees from the University of Texas at Austin (1989 and 1993, respectively) all of which are in petroleum engineering. He was the Chairman of the Petroleum Engineering Department at Kuwait University from 2004 to 2008. Ridha Gharbi served as editor-in-chief, associate editor, a member of the Editorial Board and/or reviewer of several international technical journals and sponsor agencies. He was the founder of the petroleum engineering graduate program at Kuwait University and the co-founder of the joint-graduate program between the department of petroleum engineering and the department of earth and environmental sciences. Research engineer, academics, research & development, and consultant in various areas including IOR/EOR, reservoir management & production engineering. Fawzi Banat is a Professor & Cahir of Chemical Engineering Department at the Petroleum Institute (PI). After obtaining his chemical engineering doctorate at McGill University, Canada, in 1995, he taught at several universities before joining the PI in 2011. He has published over 120 papers in reputed journals and served in many scientific committees. His main research interest is in the area of Membrane Desalination, Water Treatment, Gas Treatment and Foaming. Much of his research in membrane distillation emphasized the development and evolution of the process. He also conducts general research in the area of thermodynamics, multicomponent mass transfer, and renewable energy. Renyuan SUN has completed his PhD in 2005 from Tianjin University, China. He is a professor of petroleum engineering in the school of petroleum engineering, China University of Petroleum. His research interests include unconventional oil & gas development, enhanced oil & gas recovery and physical oil production. He has published more than 80 papers in reputed journals. His research interests include unconventional oil & gas development, enhanced oil & gas recovery and physical oil production. Dr Stanislav Boldyryev is the Deputy General Director on Development of bromine plant, Ukraine; Associate Professor of National Technical University “Kharkiv Polytechnic Institute”, Ukraine. He accomplished 10 EC research project and has published 75 scientific papers, 37 conference presentations, 5 teaching guides. He has Industrial experience in the fields of : Process Integration, Process Simulation, Pinch Analysis, Heat Exchangers, Heat Exchangers Networks, Heat Recovery, Total Site Integration, Heat Pumps. Graduated in Civil Engineering in 1992 at the University of Rome "La Sapienza" and Ph.D. in Structural Engineering in 1997, He is currently Assistant Professor in Structural Engineering at University Roma Tre – Department of Engineering. His main scientific interests are focused mainly on: a) Performance-based design of steel-concrete composite bridges, b) Assessment and reduction of the seismic risk of reinforced concrete buildings and bridges, c) Seismic risk of major-hazard industrial plants and applicability of innovative protection systems (base isolation and energy dissipation), e) Seismic vulnerability of high-voltage electric networks and substations and applicability of innovative seismic protection systems, f) Passive and semi-active control of structures. He gained a long standing experience in the management of research projects about experimental assessment of the seismic response of structures. He is currently PI of many European projects. From 2008 to 2013 He assumed the role of scientific coordinator of the Laboratory of Testing Materials and Structures of the Department of Structures of the University Roma Tre. He received a fellowship provided by CNR (National Research Council) for a research activity of six months at the Department of Civil and Environmental Engineering of University of California at Berkeley from September 1999 to February 2000 as visiting scholar. He is author of more than 100 publications on International peer-reviewed Journals and conferences. a) Performance-based design of steel-concrete composite bridges, b) Assessment and reduction of the seismic risk of reinforced concrete buildings and bridges, c) Seismic risk of major-hazard industrial plants and applicability of innovative protection systems (base isolation and energy dissipation), e) Seismic vulnerability of high-voltage electric networks and substations and applicability of innovative seismic protection systems, f) Passive and semi-active control of structures. Professor Zizi Abdeen is a Egyptian national. She is a researcher in polymer lab. Petrochemicals dep. Prof Zizi Abdeen her PhD in Polymer Chemistry in 2005 from Ain Shams University, (Egypt), where she also completed her M.Sc. Degree in Chemistry and her B.Sc., Degree in Chemistry, Faculty of Sciences, Cairo University, (Egypt). She was appointed Professor in 3/2016 in polymer lab. Petrochemicals dep. Egyptian Petroleum Research Institute. She main stream research is at the frontier of materials/polymer science and emerging fields such as nanotechnology/nanocomposites. She has a keen interest in the development of intelligent materials based on bio resources such as chitosan and starch through chemical modification and advanced biotechnology processes. He is author of over 27 articles on polymers, biomaterials, hydrogels and nano composites systems and reviewer of over 15 International journals and a member of the Advisory Editorial Board of Polymers and Biomaterials in different International journals. She was sharing as technical committee in international conference. Tatiana Morosuk is professor of Exergy-Based Methods for Refrigeration Systems at the Technische Universität Berlin, Germany. She studied refrigeration engineering in the Odessa State Academy of Refrigeration, Ukraine, and received her Diploma in 1990. She received her Ph.D. in 1994 and Professorship in 2001, all in the Ukraine. Since 2005 she is working in Germany. She is the author or co-author of 7 books and more than 250 publications, and has 10 patents. She has over twenty years of experience and related teaching experience in the fields of refrigeration and over ten years in the field of applied thermodynamics, energy engineering, exergy analysis, exergoeconomics, exergoenvironmental analysis. Kashy Aminian, Professor of Petroleum & Natural Gas Engineering at West Virginia University, has 40 years of distinguished service in both industry and academia. He holds MS and PhD degrees both from University of Michigan. He has extensive research and teaching experience in the areas of unconventional natural gas resource development and reservoir engineering. Azlina Abd.Aziz is Associate Professor and Chair for Bachelor of Economics (Natural Resources) program in the School of Social Development and Economics of University Malaysia Terengganu. She received her Bachelor of Economics (Hons) and Masters in Economics from University of Malaya, Kuala Lumpur, in 1999 and 2002 respectively. She completed her PhD degree from University of Leicester, United Kingdom in 2007. Her current research and academic duties focus on Economic disciplines. Her fields of interest are environmental and natural resource economics, particularly Energy Economics. Among her current areas of research are energy demand and economic growth, energy and the environment, energy consumer behaviour and low carbon/renewable energy economics. She has published articles in international and local refereed-journals. She also involved in reviewing articles for journal publications (e.g. Energy Policy, Energy Economics, International Journal of Sustainable Energy, Ecological Indicators, International Journal of Economics and Management, Journal of Sustainability Science and Management). Azlina is the member of International Association for Energy Economics (IAEE) and East Asian Association of Environmental and Resource Economics (EAAERE). Energy consumption and economic growth, integrated modelling of energy-economic-environment, economic valuation on renewable energy consumption, sustainable residential energy consumption, internalization of external cost in traffic congestion, the economic valuation of flood fatalities. Professor Jia is an expert of development of natural gas resource. He received his B.S. degree in Petroleum Geology from the China University of Petroleum and his M.S. and Ph.D. degrees in Petroleum Engineering from Research Institute of Petroleum Exploration & Development (RIPED), Beijing, China. In 2005 he became a Professor of Petroleum Engineering at RIPED, PetroChina. From 1992, he has worked in the areas of oil & gas geology, reservoir modeling and engineering. He is currently director of Ordos Basin Branch Institute of RIPED, PetroChina. As a professor, he has published over 80 papers and 10 books in the oil & gas development fields. Petroleum Geology, Natural gas, oil & gas geology. Associate Professor and Statoil Chair in Reservoir Engineering. M.E. Hossain is Associate Professor and Statoil Chair in Reservoir Engineering in the Department of Process Engineering (Oil & Gas Program) at Memorial University of Newfoundland (Memorial), Canada. He is also Visiting Professor in the Department of Petroleum Engineering at King Fahd University of Petroleum & Minerals (KFUPM), Saudi Arabia. He earned a BSc in Mechanical Engineering from Bangladesh University of Engineering & Technology (BUET) in 1995, and an MSc in Petroleum Engineering from a collaboration between University of Alberta and BUET in 2001. Dr. Hossain completed a PhD in Petroleum Engineering in 2008 and a MBA degree in 2009 both at Dalhousie University, Canada. Prior to working at KFUPM, Dr. Hossain hold positions at Ryerson University and Dalhousie University; Sultan Qaboos University, Oman, BUET, and Chittagong University of Engineering & Technology (CUET) Bangladesh. He also worked with the petroleum industry for over nine years. In over 22 years, Dr. Hossain authored and/or co-authored more than 150 research articles focusing on reservoir modeling, reservoir simulation, reservoir characterization, enhanced oil recovery (EOR), drilling fluid, drilling waste, and environmental sustainability. Dr. Hossain wrote five books on Petroleum Engineering, and a textbook on Fundamentals of Sustainable Drilling Engineering published by Wiley and Scrivener Publishing, USA. Two additional books are in progress: two books will cover drilling issues and solutions, and one book will focus on reservoir simulation. Dr Hossain’s main contribution to the industry is the introduction for the first time of memory concept for a petroleum application. For conducting research activities on EOR, drilling waste management, and development of new sustainable drilling fluid and additives, Dr. Hossain has currently funding totaling over three million Saudi riyal from Saudi Aramco, NSTIP, and the Saudi government. As an Associate Professor at Memorial, he has funding of approximately two million dollars received from Statoil, NSERC, RDC, and Memorial. In the last six years, he completed over five million Saudi riyal projects funded by Saudi Aramco, NSTIP, and KFUPM in diverse area of petroleum engineering. In recognition of his research and teaching excellence, he has received numbers of awards. Dr. Hossain has been teaching a wide spectrum of petroleum engineering courses, such as drilling engineering, reservoir engineering, reservoir simulation, petroleum economics, reservoir rock properties, etc. Designed to clients’ needs, he gives short courses, workshops, and seminars in the area of petroleum engineering. His research team include research associates, PhD students, and M.Sc. students. Dr. Hossain is the associate editor of Journal of Nature Science and Sustainable Technology (JNSST), and Journal of Characterization and Development of Novel Materials (JCDNM), Nova Science Publishers, USA. He also acts as a reviewer for several international journals including Society of Petroleum Engineers (SPE) journals. He has been an active member of a number of international societies, including the SPE. Dr. Hossain is the founder and Chairman of Aziza Trust (www.azizatrust.com) and was on the Board of directors of Aziza group in Bangladesh, Bright Coral in Canada. petroleum engineering: Process Engineering (Oil & Gas Program), drilling engineering, reservoir engineering, reservoir simulation, petroleum economics, reservoir rock properties, etc. Project Director/ CTO/ Business Development Executive/President & CEO. Dr Amarjit Bakshi has a Ph.D and also undergraduate degree both in Chemical Engineering from University of Surrey, Guildford, UK.Over 30 years experience in Engineering/ Consulting Management at senior level in Process Engineering, Technology, Business Development, Licensing, Acquisitions, Alliances and Project Management and Engineering, Operations Management and Process Engineering. Provided proven leadership and vision with broader perspectives and able to manage multiple tasks and personnel on mega projects. For last 7 years I have been consulting in Upstream, midstream, transfer of oil/gas by pumping, petrochemicals with NOC’s, major oil and petrochemical corporations including management consulting organizations like BCG, Bain Consulting group and so many other organizations. I have been providing consulting in operations, training of facilities engineering, technology, Catalysts, acquisitions, alliances, operations and corrosion in most of Oil and gas industry areas. Hussain Ahmed has taught and conducted research in petroleum engineering for more than 20 years at British institutions such as Heriot-Watt University, Salford University, Teesside University, Liverpool JM University, Riverside College and Warrington Collegiate. He has provided training and consultancy for major oil companies such as BP, Chevron, Shell, KNPC, ADNOC, ARAMCO, PDO and Qatar Petroleum. His areas of research interest are enhanced oil recovery methods, oil well production optimization and drilling technology. Russell R. Chianelli is currently Director of the Materials Research and Technology Institute at the University of Texas at El Paso and Professor of Chemistry, Materials and Environmental Science and Engineering. After receiving his PhD, he joined the Corporate Research Laboratories of Exxon Research and Engineering Co in 1974. While at this laboratory he conducted research in both fundamental and applied areas of interest to the energy industry. He is recognized worldwide for his work in Transition Metal Sulfide environmental catalytic materials. This work resulted in over 130 publications and 60 issued United States patents. During this period he was active in the Materials Research Society (MRS), serving as vice president (1989), president (1990), past president (1991) and Counselor (1992-1994). In 1996 he joined the Chemistry Department at the University of Texas at El Paso as Chairman and Professor of Chemistry and Environmental Sciences. In 2001 he resigned as Chemistry Department Chairman to head the Materials Research and Technology Institute (MRTI) at UTEP. The MRTI is dedicated to research relevant to the US/Mexico border in Materials related to energy, environment and health. Dr. Agarwal’s public health interests include studying the impact of atmospheric and industrial pollutants (nano- to microscale particles) on human health. Some of his research involves transport of contaminants in air and water in home and work environment. His research has also focused on nanotechnology concepts related to filtration and catalysis, and has included some of the topics such as nanotoxicity, nanotechnology and environment, and nano- and micro-scale filtration. Dr. Agarwal is also interested in finding low-cost solutions and effective medical devices for populations in developing countries. He is also concerned with health education, health needs, health delivery, and health economics. Dr. Yunsheng Wei began his professional career at RIPED in 2006, having abundant experience in unconventional gas development about 10 years. He has made great contributions to improving reservoir engineering, especially in tight gas and shale gas. He has published more than 30 papers in reputed journals and has been serving as an editorial board member of several gas engineering journals. Rahman's background in multiphase flow experiments and CFD of both academic (fundamental) and industrial (applied) research contributions have been documented in more than 50 refereed journals and conference proceedings. In recognition of his high-quality research endeavors, Rahman has been awarded several multimillion-dollar grants from organizations such as the Natural Sciences and Engineering Research Council of Canada and Newfoundland Research & Development Corp. He has been involved in a number of research collaborations with companies, including Intecsea, Husky Energy, Syncrude Canada, GRI simulations, C-Core and Coanda Research & Development Corp. Rahman was a postdoctoral fellow in 2012 in the School of Mining and Petroleum Engineering at the University of Alberta. He also worked as a postdoctoral fellow in 2011 in the Department of Chemical and Materials Engineering at the University of Alberta. He earned his Ph.D. from the University of Alberta in 2010 and his master's degree from Dalhousie University (Canada) in 2004. Rahman has successfully supervised a number of postdoctoral fellows, graduate students, research associates and undergraduate students. He is the recipient of a best teaching award from the University of Alberta in 2009. He is also involved in with a number of professional organizations, including SPE, ASME and CSME. He is a registered Profession Engineer in Alberta, Canada. Gas/non-Newtonian liquid; shear thinning fluid; Pressure drop; Two-phase flow rates; visualization. EOR, Fluid Flow in Porous Media, Numerical Simulation, and Artificial Intelligence. Dr.-Ing. Ralph-Uwe Dietrich leads the research area Alternative Fuels at the Institute of Engineering Thermodynamics at the German Aerospace Center (DLR) in Stuttgart. He is responsible for the research group on techno economic and ecologic evaluation of alternative fuels for aviation and global transport. He received his PhD in Engineering at the Technical University Clausthal in 2013 as a Scientific coworker at the Clausthaler Umwelttechnik Institute (CUTEC-Institut GmbH). Before that, he got 15 years of project manager experience at different enterprises (SME and Fortune 500) of the process and automation industry. Senior Professor of the Petroleum & Renewable Energy Engineering Faculty (FPREE). Professor Dr. Ariffin Samsuri is a Senior Professor of the Petroleum & Renewable Energy Engineering Faculty (FPREE), Universiti Teknologi Malaysia (UTM). He has vast experience in managing R&D projects for government funded research as well as industry sponsored research projects. He had completed 3.0 years as a Dean of the Petroleum & Renewable Energy Engineering Faculty (FPREE), 3.5 years as a Dean of Chemical & Natural Resources Engineering Faculty (FKKKSA), Universiti Teknologi Malaysia (UTM), of 5 years as a Dean of Research Management Centre (RMC), Universiti Teknologi Malaysia, 2.5 years as a Deputy Director 1 of the RMC, 7 years as a Deputy Dean (R&D) of the Faculty of Chemical and Natural Resources Engineering and 4 years as a Head of Petroleum Engineering Department. 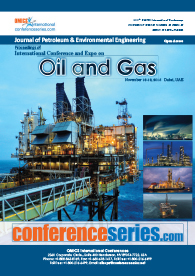 Professor Dr. Ariffin has published 102 technical papers for conferences/seminars and journals on many aspects of Petroleum Engineering development and management in international and national level, authored 5 books, 3 book chapters, translated 4 books, edited 8 books and 5 research monographs. He was awarded as a best student (science & technique) from Institute of Language & Literature Malaysia (DBP) and Malaysian Translator Association (PPM), several excellent service awards from UTM, Best Editor Award from Yayasan Pembangunan Buku Negara and Johan Setia Mahkota (JSM) from Malaysian Government. He is also a member of Board of Engineer, Malaysia, Society of Petroleum Engineers (SPE), Malaysian Translator Association, Institute of Engineers Malaysia (IEM) and Society of Engineering Education, Malaysia (SEEM).As a Professor of Petroleum Engineering, he is the head of 18 research projects and member of 14 research projects within his research interests, i.e. 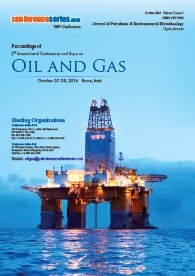 petroleum production optimization, rock mechanics application in petroleum engineering, wellbore stability, well stimulation, cement and cementing technology, drilling and drilling fluid technology, and biofuel. He had more than 34 years teaching and supervising experiences in petroleum engineering program for undergraduate and postgraduate degrees offer by Universiti Teknologi Malaysia. He also had been appointed as a visiting professor of Universiti Teknologi Petronas since 2010-2011, several expert and academic advisory panels, and peer reviewer for several journals. Head manager of Petroleum Biotechnology Lab,Process Design & Development Department. Nour Sh El-Gendy is a Professor of Petroleum and Environmental Biotechnology and head manager of Petroleum Biotechnology Lab in Egyptian Petroleum Reserach Institute. She is the vice coordinatior of the Scientific Reserach Committee in the National Council for Women of Egypt. Authored six books in the fields of biofuels, nano-biotechnology, petroleum refinery and biotechnology and about hundred twenty five research papers in the fields of oil pollution, bioremediation, biosorption, biofuels, microbial-corrosion, green chemistry, wastewater treatment, biodesulfurization, biodenitrogenation and nano-bio-technology and its applications in petroleum industry and biofuels. She in an editor in nineteen international journals and reviewer in fourty five international journals, supervised twenty four MSc and PhD thesis. Participated in thirty international workshops and training courses, and forty four international conferences. A member in many international associations concerned with petroleum, biotechnology and environmental health and sciences. 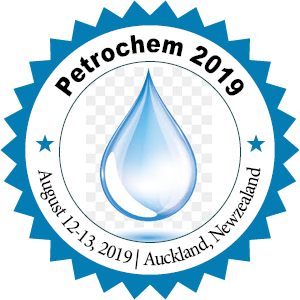 Petroleum & Environmental Biotechnology, biofuels, nano-biotechnology, petroleum refinery, biotechnology, oil pollution, bioremediation, biosorption, microbial-corrosion, green chemistry, wastewater treatment, biodesulfurization, biodenitrogenation.